With the support of our adroit professionals, we provide our clients a high quality Automotive Heat Shields. 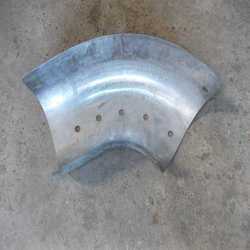 This heat shield has an insulator placed in its center with steel sheets surrounding the core. Offered heat shield prevents high levels of heat and noise being emitted from the exhaust of the engine to protect components vulnerable to heat. Moreover, we offer this heat shield in various sizes & used for preventing absorption of excess heat. With our immense domain expertise, we are involved in offering Heat Shields. The offered heat shield manufactured under the stern guidance of our deft professionals as per industry norms by making use of high grade raw materials with the help of innovative technology. Our heat shields are good demand in the market due to high quality, heat absorbing nature and durability. 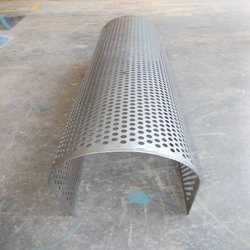 This heat shield is available in numerous specifications according to the needs of our clients. Looking for Industrial Press Components ?